A new Apple research center in the town of Grenoble, France, will apparently focus on improving imaging technology, likely for better cameras in future iPhones and other devices from the company, according to a new report. Apple is said to have already established a team in the area, but will be expanding its presence at a new 800-square-meter facility that will employ about 30 people, according to ledauphine.com, a French-language publication, as first discovered by local blog iPhon.fr. Thursday's report claimed that the new research and development facility will focus on image sensors for both the iPhone and iPad, which frequently share camera-related parts. The performance of the iPhone's camera, in particular, has become a key selling point for Apple, as evidenced by the company's ongoing Shot on iPhone ad campaign that runs on TV, in print, on billboards and more. Apple is said to have picked the site in Grenoble due to an ongoing partnership with STMicroelectronics, which has production sites in the area. STMicroelectronics supplies a number of components for Apple devices, most notably gyroscopes that detect movement in devices like the iPhone, iPad and Apple Pencil. Apple's latest phones, including the iPhone 6s series, rely on gyroscope and M-series motion coprocessor data to compensate for factors like hand shaking when capturing photos and video. 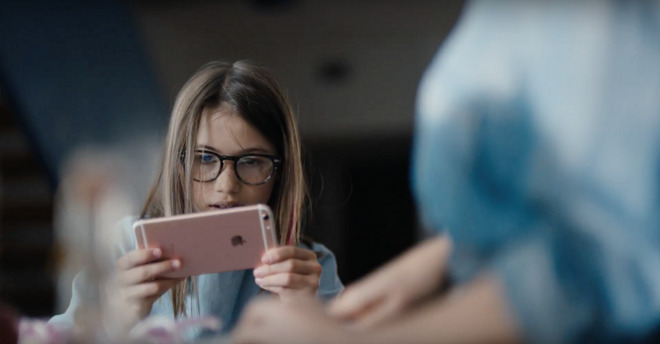 On the iPhone 6s, this is accomplished through software-assisted stabilization, while the larger iPhone 6s Plus has the added benefit of hardware-based optical image stabilization. Gyroscopes in iPhones are also used to stitch together panoramic pictures. Camera technology is expected to be a major focus for Apple's forthcoming "iPhone 7," as leaked parts suggest the 4.7-inch model will feature a noticeably larger camera opening, while the 5.5-inch "Plus" model is expected to boast dual lenses for vastly improved picture quality.